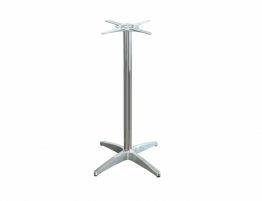 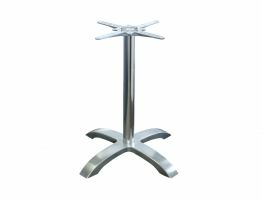 This elegant and classy contract quality flat table base will embolden any restaurant, bar or cafe. 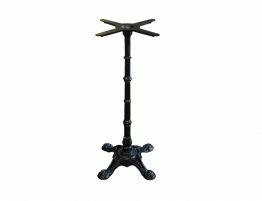 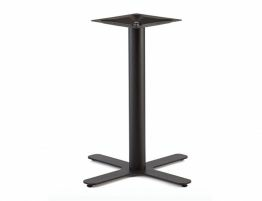 Finished in a matt black powder coated steel and made to contract quality this table base will provide years of service. 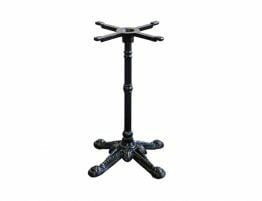 The Brax matt black powder coated steel base is factory finished for heavy commercial use with a durable finish, low sheen, smooth with rounded edges and stabilized base that can fit neatly in any designated dining space. 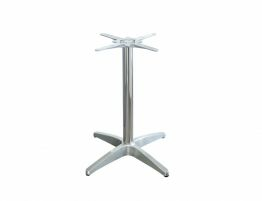 Place the Brax with any style, commercial furniture, indoor or outdoor, and it will look great! 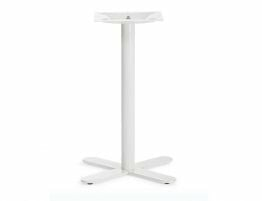 Dress it up or dress it down, tailor the Brax to suit your specific design, the clean, slim and slick minimal lines of the modern Brax flat table base will compliment your venue for years to come.